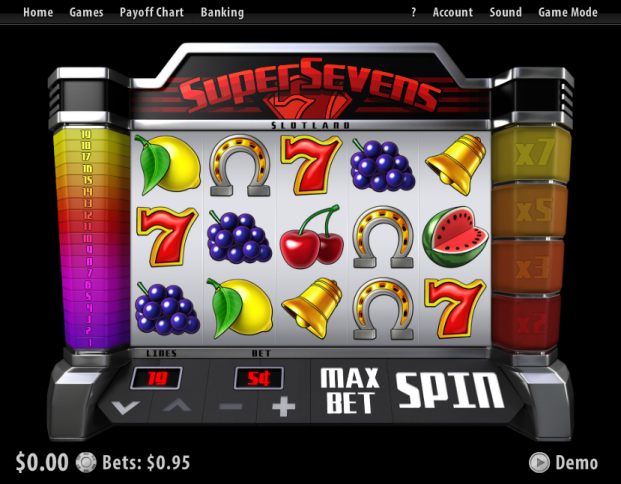 Overview: Super Sevens is a fruit slot machine with 5 reels and 19 paylines. Free Spins with an increasing win multiplier will boost your cash! 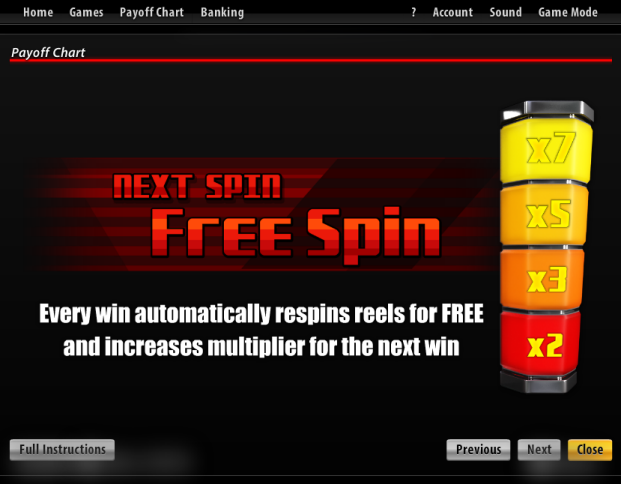 After every winning spin you earn one Free Spin with all wins doubled! 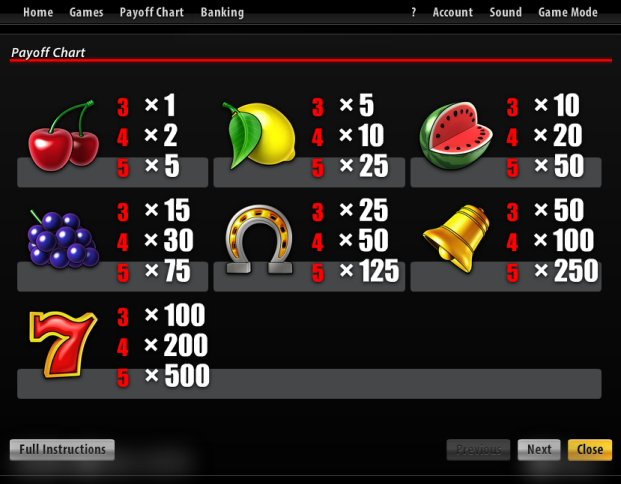 If your winning streak continues, your win multiplier can increase up to x7. The Free Spins last as long as you are winning! Similar Slots: If you like Super Sevens, you might like these other slot machines from Slotland: Booster, Reel Riot, Tikal Treasure, Treasure Box, Treasure Island.